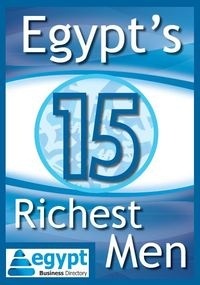 Egypt might go big, as seven of the fastest ten growing economies in the world are African countries. Egypt could soon be overtaking the economy of South Africa, the continent’s wealthiest state, according to Pan-African business magazine Ventures. Although the Egyptian economy has been facing challenges after the 2011 uprising, which ousted former President Mohamed Hosni Mubarak, Ventures is optimistic about what is to come. Young people in Egypt have been very active in trying to found their own projects and companies, as unemployment has been on the rise for many years now - but foreign investors became more and more hesitant – to say the least – about spending their money on Egypt . Yet, Egypt is in need of its entrepreneurial sector, as startups were the reason for economic growth in India, Indonesia and China. Newly elected President Mohamed Morsi should be focusing on creating jobs and boosting incomes, according to Ventures, as the combination of low growth and rising debt is highly critical. Currently, Egypt’s GDP is estimated at $497.88 billion and its growth nourished by services and industrial sectors, as agriculture contributes about 14%. Ventures included Nigeria, South Africa, Algeria and Morocco in the list of Africa’s five biggest economies.